← Is Celebrating the Birth of Messiah, Biblical?!? Just as there are 2 roads – 2 paths you choose to follow, there are basically 2 kinds of people. There are those kind of people that choose the broad path, and there are those type of people that choose the narrow gate. Make no mistake though, just because there are two kinds of people, doesn’t mean that there is an equal number of each. Yeshua (Jesus) said many when talking about those that choose the broad path . . .
Yeshua (Jesus) said few when it came to those that would search for and try to enter the narrow gate . . .
You see, you don’t have to know much about anything or have much skill or training to come up with the problems in the business world – it is an imperfect place and problems abound in business as in life. I used to tell my employees that I would listen to the problem on one condition . . . if they offered a solution as well. No solution = no complaint! Maybe you are not understanding the point I am making. I will offer another example, albeit a cliché one at that: A glass with liquid in it that is utilizing exactly ½ or 50% of its capacity and space. The way you approach this simple question says much about you and your personality. I want to make sure we are on the same page so I will offer 2 more examples. If you are young, you probably won’t remember the Cola Wars. Coca-Cola is and was a huge brand that put its primary emphasis on family and family values. Pepsi on the other hand, liked to paint people (consumers) that drank Coke as old, stiff, out of touch, and UN-hip – – – the older generation vs. the New Generation. I found them distasteful and disrespectful when I was young and I find them more so now. You see, instead of growing their brand based upon its own merit, they chose instead to make fun of Coke and Coca-Cola drinkers to make their brand more appealing. This leads me to my 2nd example – politics. It seems very few politicians can run on their own merit. They spend hundreds of thousands of dollars – even millions of dollars discrediting the other guy to make themselves seem more appealing. That is not running a campaign based upon your own merit, this running a campaign based on the perceived “lesser of 2 evils.” It is distasteful and hard to take anything they say seriously when they do this. 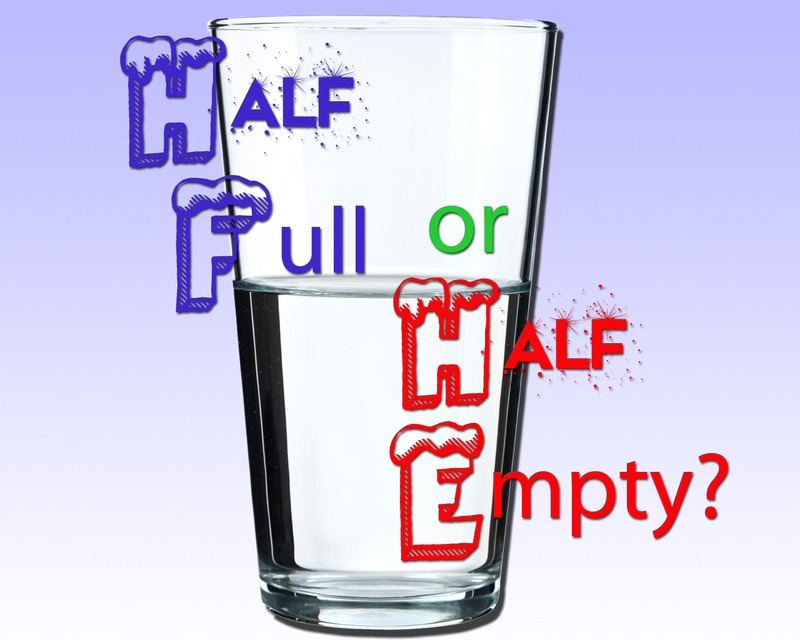 Instead of talking about the glass being half full, they talk about how the other guy’s glass in emptier than theirs . . . pitiful. I’m righteous and you are not. They quote the text back and forth – using the Word of God as a sledgehammer to bash each other’s brains out . . . to prove how much they are in His good graces and how much the other person is NOT . . . how utterly pathetic! How utterly sad! It is called feuding . . . it is called fighting . . . it is called factionalism . . . it is called the old nature. Sad part is, people that do such things (regardless of what they call themselves such as: Christians, Messianics, Hebrew Roots, One Law, or 2 House) will have no share in the Kingdom of God! in the Kingdom of God! or you will be destroyed by each other! yes, your enemies misuse it. In context, the “wicked” – “Men of blood.” It is easy to see why men and women who start and propel quarrels and battles will NOT see the Kingdom of Heaven. Another word in Galatians 5 is θυμός thumos – Great anger, wrath, rage, passion. It means to boil. In the Septuagint, it means: fury, anger wrath, rage . . . Remember, for those with θυμός thumos, NO Kingdom of Heaven! Finally, we get to the Greek word διχοστασία dichostasia – Dissension. More specifically, apart – divided in two. In a word, sedition. These are the words using in Galatians 5 and the Greek words they translate. These are words used to describe people that are still living under their old nature. These are the words used to describe people that will NOT see the Kingdom of Heaven. These words are NOT used to describe someone that loves his neighbor as himself . . . These are the words used to describe people that will go to hell . . .
and not just for your own. not to have exaggerated ideas about your own importance. That leads me to why I wrote this post. It is my hope and prayer that some will read it and truly remember what fearing the Creator of all things means! It is my hope that they will repent of their ἔχθρα echthra, ἔρις eris, θυμός thumos, and διχοστασία dichostasia just like King David did when he was faced with his own sins by Nathan. Sadly, most will probably NOT take the approach King David did and instead will take the approach Adam did: the Adam who not only blamed Eve for his sin, but blamed the Creator as well! First, and foremost, I look on YOUR page . . .
and hates his brother, he is a liar. then he cannot love God, whom he has not seen. Not surprisingly, I don’t see a lot of posts about loving your neighbor from the feuding, fighting, factionalism and anger people. In fact, most times I am hard pressed to find a SINGLE post about the 2nd Most Important Command! Trust me, I go back months and still come up empty! Most times, it is just plain ugliness! Again, and not surprisingly, I don’t see a lot of posts about loving your neighbor from the feuding, fighting, factionalism and anger people that you are sharing on your page or blog. I see posts about them bragging how Torah observant they are . . . Sadly, that is NOT the case . . . EVER! It is the same with the people who attack the attackers back. It gets just as ugly (and sometimes uglier) on their side. Name calling, arrogance, hate . . . just more feuding, fighting, factionalism and anger people thinking much too highly of themselves and also on their way to hell according to the text . . .
What I do NOT see in their counter-attacks are the “love your neighbor” verses . . . I don’t see it in their feeds or on their pages. The 2nd most important command – conspicuously absent. With both groups, as I check their posts for the last couple of months, I keep hoping to see that one post where they went out and fed the homeless, or helped an orphan, or helped a widow. I NEVER find these on their pages . . . All I can find is the “Christianity is pagan” and “Hebrew Roots is heresy” and the Messianic is a cult posts, memes and emails . . .
A lot of the counter attackers confuse Hebrew Roots, Messianic and 2-House lumping them all together which would be about like lumping Calvinists, Arminians, and Jehovah’s Witnesses together. That being said, dividing walls are erected – m’chitzah are built high ignoring the very sacrifice He made to tear them down! I wrote this post in the hopes and many prayers that a few, (even 1,) going down this path will read our Creator’s Words and be convicted by the Ruach HaKodesh (Holy Spirit) to shuv (turn) – to go from ‏מְשֻׁבָה‎ meshuvāh (apostasy – turning from God towards sin) and do ‏תְּשׁוּבָה‎ teshûvāh (return to Him from sin – repenting). — it is by grace that you have been delivered. how great is his kindness toward us who are united with the Messiah Yeshua. So for all of you feuding, fighting, factionalism and anger people that think or will find it necessary to try and correct me and turn your attack on me, don’t bother. Your pages and your posts testify against you. I ain’t fishing in that hole. I am not even interested in floating down that river. I have spent the entire last year with my heart hurting more and more – day by day. It has been a battle to find the right thing to do. Part of me wants to “unfriend” you from my page or “block” you from my blog to protect my own heart – to protect myself from the anger my very human sides feels from time to time as I view your continual hate. The other part of me realizes from you own posts and the posts that you share, that my blog and my Facebook page may indeed be the only place you see anything about loving your neighbor . . . for that reason, and that reason alone, I have left everything as is. I have said what I felt needed to be said. I have shared parts of the text that are rarely (if ever) shared by the feuding, fighting, factionalism and anger people. If this post applies to you, you are no longer ignorant of what you are doing and have a choice to make. My prayer is that your choice will be one that is honoring to Him that sacrificed so much, and that your choice will be one that promotes shalom (peace) between brothers and sisters – love between neighbors . . . a choice that makes the 2nd most important command full. This entry was posted in Living life Even if . . ., Word Studies and tagged anger, factionalism, feuding, fighting, half full or half empty, Love your neighbor. Bookmark the permalink.